I wonder if she would accept the title, ‘Saint’? Give the lackluster performance of her party since 2008, the glory days of 1999-2008 must seem like a religious vision to some on the left. Kind of like a person enduring a 9 year drought and when scraping the last muddy cup of water out of the storage barrel they try to remember the last time they felt the drops of rain – glorious rain – on their face. She could be like a figure head or a living totem pole and whoever is holding the leadership of Labour could make pilgrimage to her shrine in Mt Albert seeking words of advice and pearls of unworldly wisdom in relation to their political fortunes. Ok we get it you’re a troll. Yeah well I’m sure kiwis feel much more secure about their future now after the last 9 years without Labour. 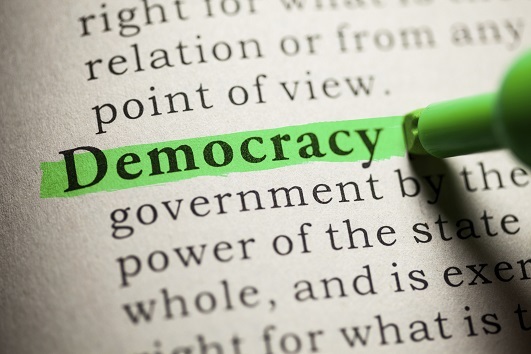 You could do a street poll and ask people are you currently happy with the health system, the state of their local environment, the crime in their community, the chances of their kids owning a house, the wages they earn, the cost of the basics and more. Hope that’s not the sum of your Pol Studies 101 material R’Wrongly. She was happy with the Order of New Zealand that she received – still a tier one title. What is Labour’s current policy? I can’t find anything on their website. I assume they will be dumping them again. From memory It wasn’t National party policy in 2008 to bring back the knighthoods. John Key just did within the first 100 days. So why does Labour have to have it as policy? Is it National party policy to continue with knighthoods now that Key has been given his? Clearly Key was after something bigger than a gold watch when he left and he set that up way back in 2008. I don’t understand why Key would bring back titular titles and try and get rid of the NZ flag unless it was for self interest. Interesting thing about honours we developed ourselves is that they’re a mark of respect and leadership without elevating the recipient into another class. Titular honours simply hark back to the days when people were forced to bow to the armoured thug who exercised dominion via a sword, or his descendants. These days we have the same system, but a different sword. I lost much of whatever respect I might have had for this titular system when it was explained to me why Helen Clark got rid of knights and dames. Yesterday I lost the rest. 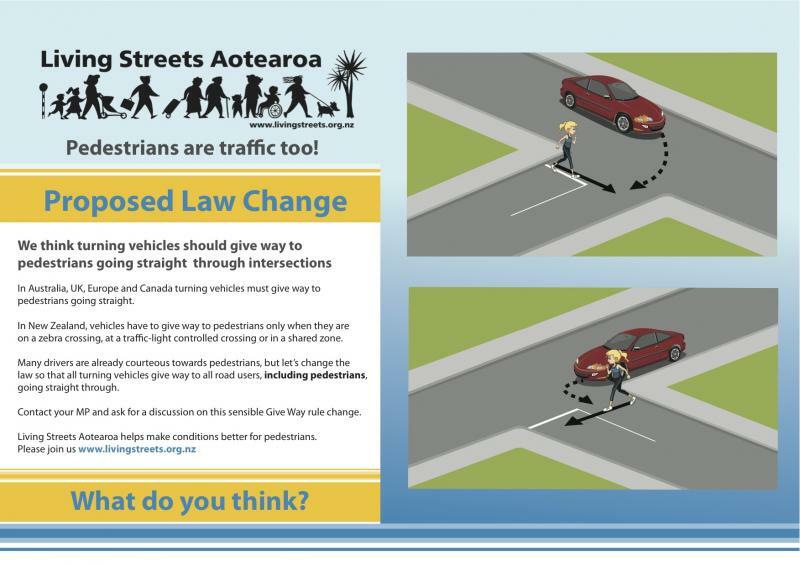 could you get Sir Michael Cullen and Sir Geoffrey Palmer to comment please. 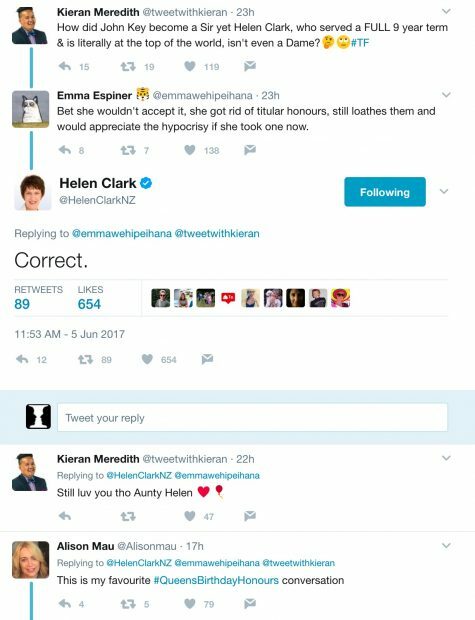 It’s pretty clear that neither of them share Helen Clark’s view. Nor mine for that matter. This may induce cognitive dissonance, but here on the Left we (generally) don’t slavishly follow the leader like little authoritarian followers. Welcome to the genuine contest of ideas, you bitter old fool. No, most of the time the left slavishly follow their leader for fear of being shot! Augusto Pinochet has a job for you. It’s a long list of despots. He wants you to wear a uniform with shiny buttons and throw people out of helicopters. After that, you can open and close the gates at Christmas Island.